To seize: one of the last second homes in Nendaz! Chalet close to the center of Haute Nendaz! Calm neighborhood ! Beautiful 4.5 p. in Haute-Nendaz, new construction! 2.5 p. Ski in / Ski out in Haute-Nendaz! 5.5 p. renovated near the gondola Haute-Nendaz! Large, modern cottage, a beautiful view near the ski lift! New apartments 5 minutes walk from the center of Haute-Nendaz! Chalet with character, Ski in / Ski out in Haute-Nendaz! 4.5 p. to the gondola, ski in - ski out! Chalet renovated with style at Bleusy (Nendaz)! 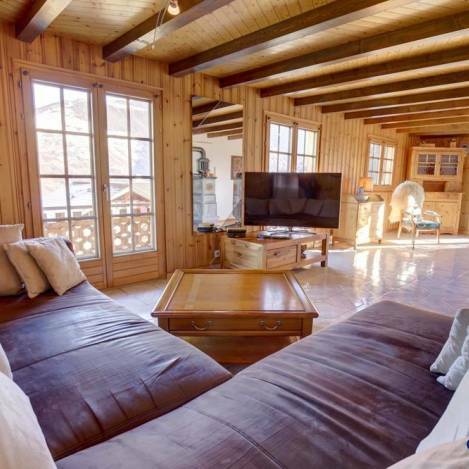 Chalet in a quiet and easily accessible area, in Haute-Nendaz! Chalet with character near the center of Haute Nendaz! Chalet with a lot of character in Haute-Nendaz! 5.5 p. of standing with superb view and garage-box! Luxurious new apartment ideally located to develop according to your tastes! 3.5 p. crossing next to the gondola Haute-Nendaz! Joli studio au coeur du domaine de ski des 4 Vallées ! 4.5 p. totally renovated next to the gondola of Haute-Nendaz! 3.5 p. in the center of Nendaz! Corner apartment 2.5 p. Ski in / Ski out in Haute-Nendaz! Apartment of 3.5 p. With terrace and garden, in Haute-Nendaz! Great 4.5 p. corner apartment with terrace, in the center of Nendaz!